You are here: Home / nutrition / Have You Been Injured Before? Here’s why You MUST Know the real Truth about Opioids! Have You Been Injured Before? Here’s why You MUST Know the real Truth about Opioids! In light of Prince’s untimely death in April, we could be seeing a possible solution to opioid addiction. 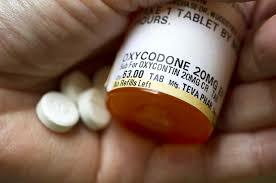 opioid addiction has become more and more common. doctors from prescribing the meds so easily. Nothing short of a backlash surged from guess who? relieved through opioid medication which the pharmaceuticals were happy to supply. 2 million Americans abused opioids, killing over 29,000 people). (rather than less) to be fired from nerves. and more pain is produced causing the vicious cycle to never end. has to stop, regardless of pharmaceutical complaints. Beetroot Juice: Want to Know What it Would be Like to Have “Jet Fuel” Running Through Your Veins? Tart Cherry Juice: Want to Recover Faster with Less Pain?